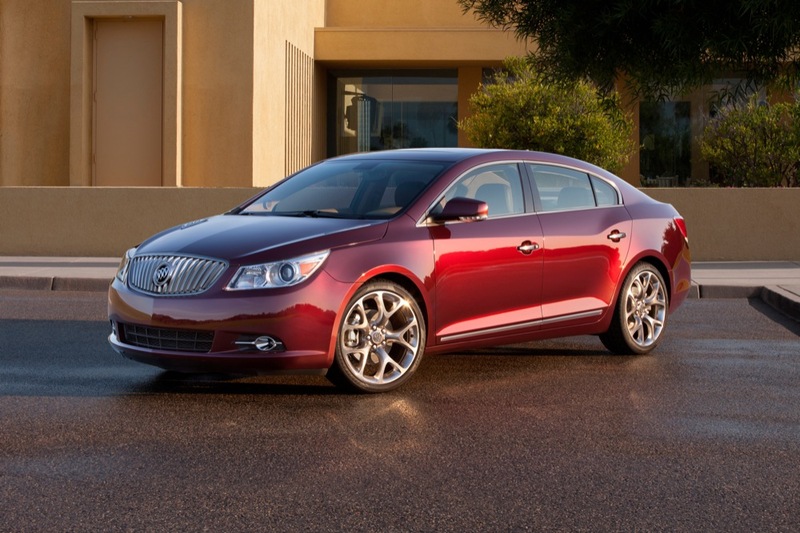 With all eyes on Cadillac for the 2011 Los Angeles Auto Show, Buick just blind-sided everyone with an official online reveal of the LaCrosse GL Concept. With it, the brand could take another step into a more luxurious realm, as the interior is decorated in rich textures and colors. 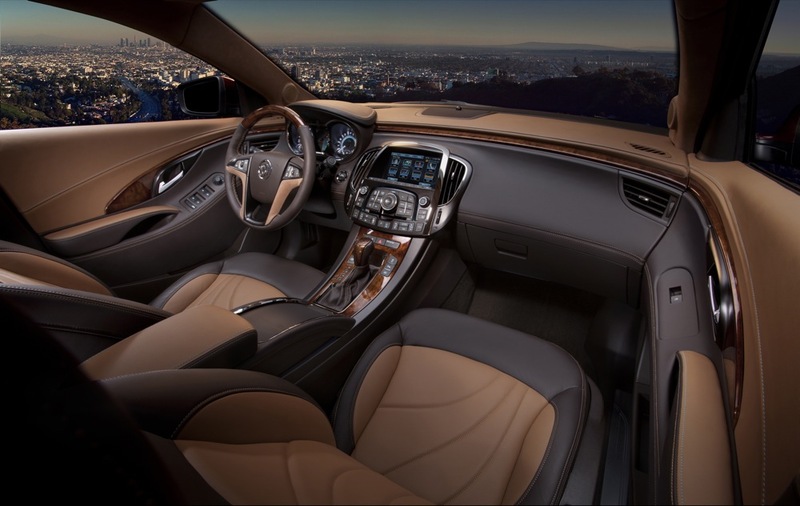 Inside the cabin of the LaCrosse GL Concept we find a level of ambiance Buick has never achieved before. 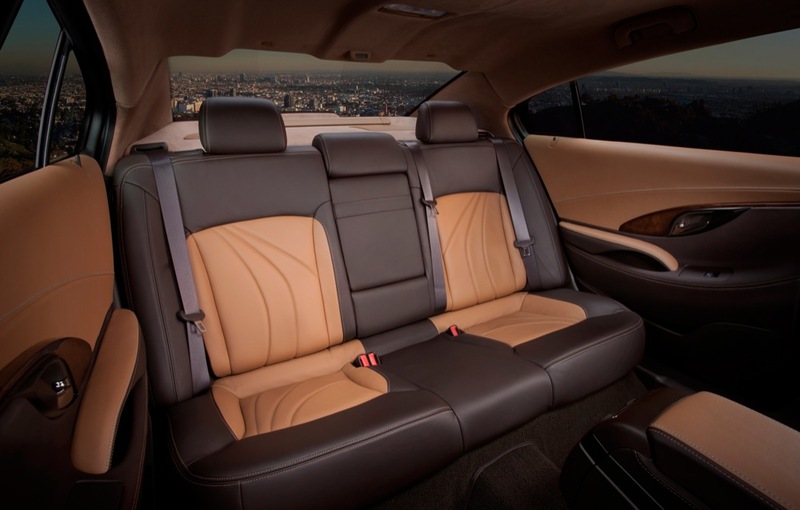 The seats, doors and instrument panel surfaces seem to have been inspired by a slice of tiramisu by looking at curving and contrasting dark cocoa brown and caramel chocochino leather. 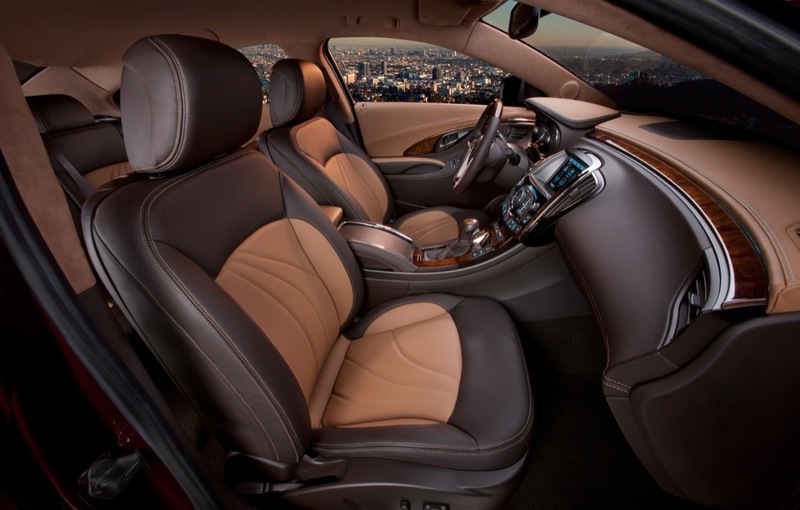 The GL’s ice-blue French stitching also compliments the cabin’s ambient lighting of the same hue. Adding to the niceties is a suede headliner, abandoning the cheap looking fabric wrapping usually seen otherwise. The steering wheel features suede as well. 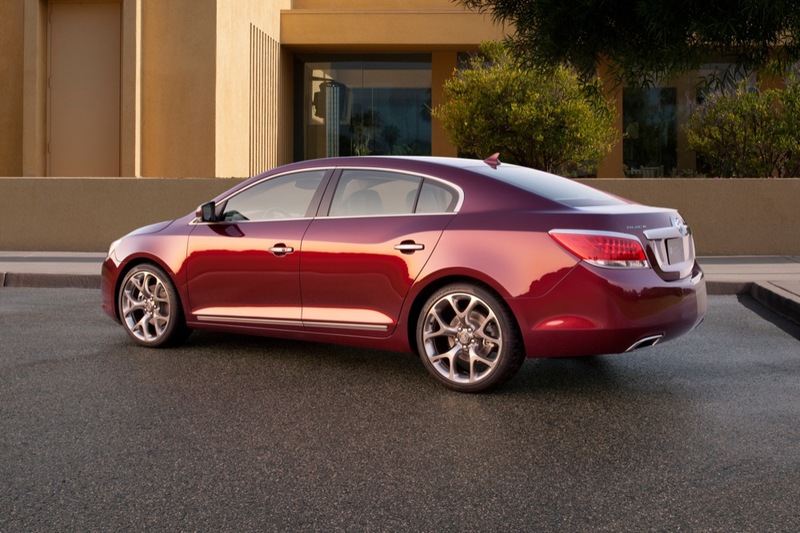 The exterior is coated in a “cabernet red” paint with tinted chrome accents and satin-finished 20-inch rims. 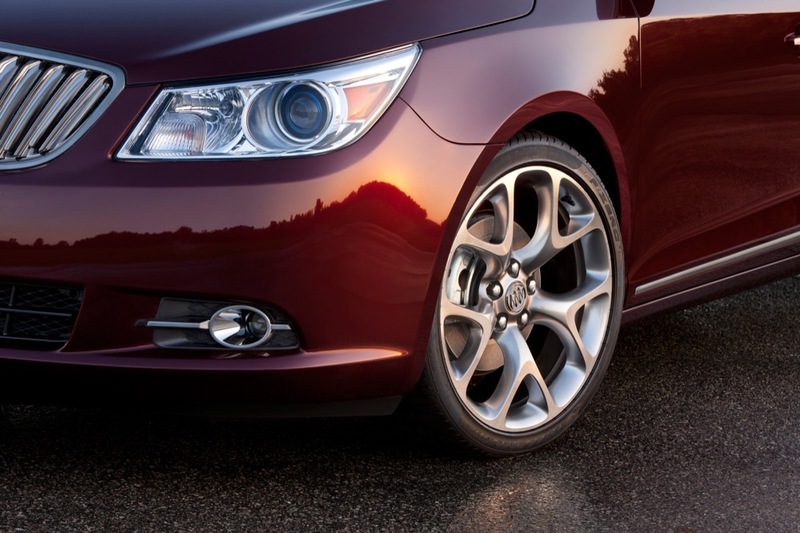 Considering there have been photos of a LaCrosse testing at Milford sporting the same wheels (and Brembo brakes), something tells us that this car won’t remain a concept for very long. 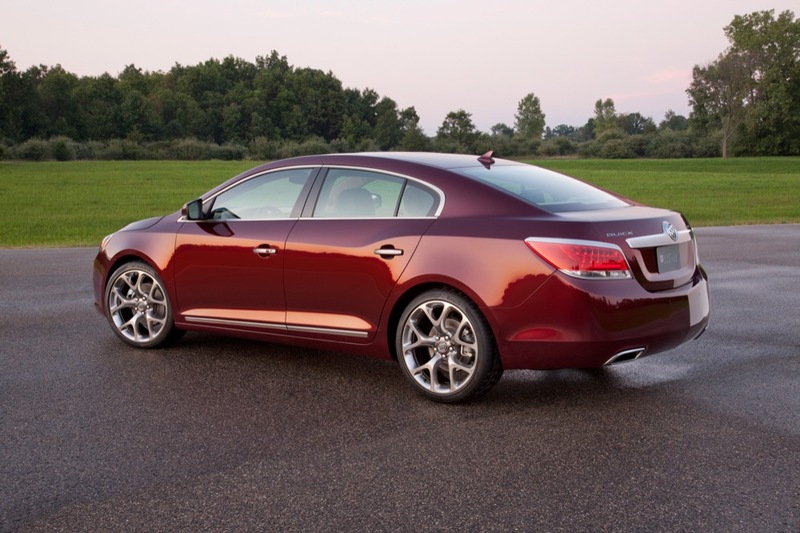 I remember I saw a prototype Buick lacrosse with brembo brakes and rims from the Regal GS. It was in January this year at a mcdonalds right by the tech center in Warren. It was white and I was like “hmm I wonder what’s under the hood”. I think I remember seeing a different exhaust system on that prototype car too. I think it’s a handsome interior that could easily be offered an option package or a model level, but there isn’t much new on the outside to give it much visual distinction. The night pictures from Griffith Park with the downtown LA skyline are nice…. Either that or the background is Photoshoped in. 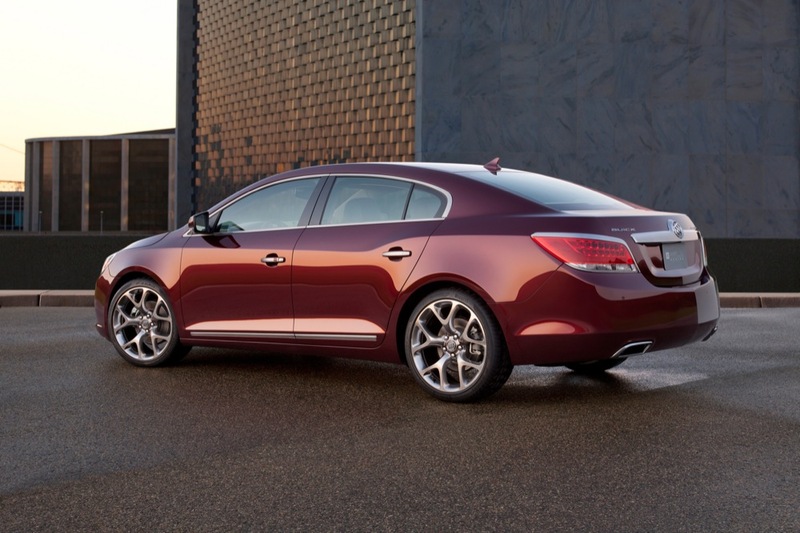 This car is so elegant, every time I see the Lacrosse on the road I am impressed. I do think they need a 2 door convertible version. 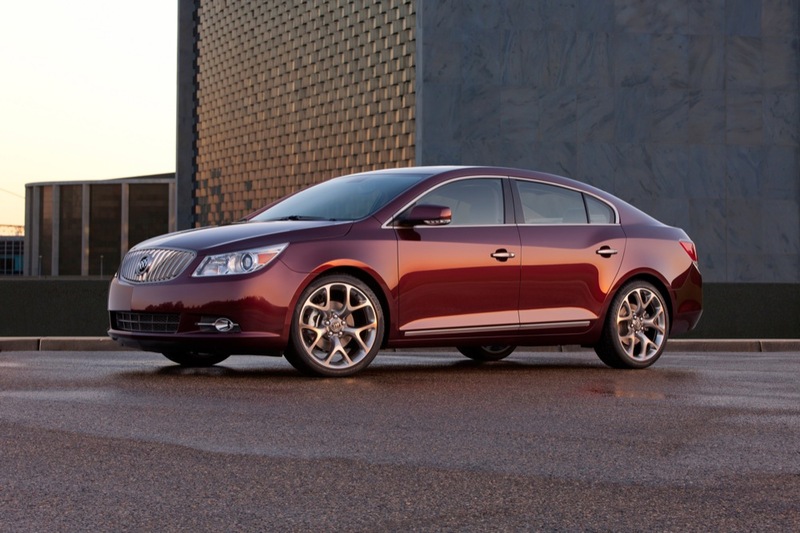 Why is GM carrying over the fog lamp design across all its models? 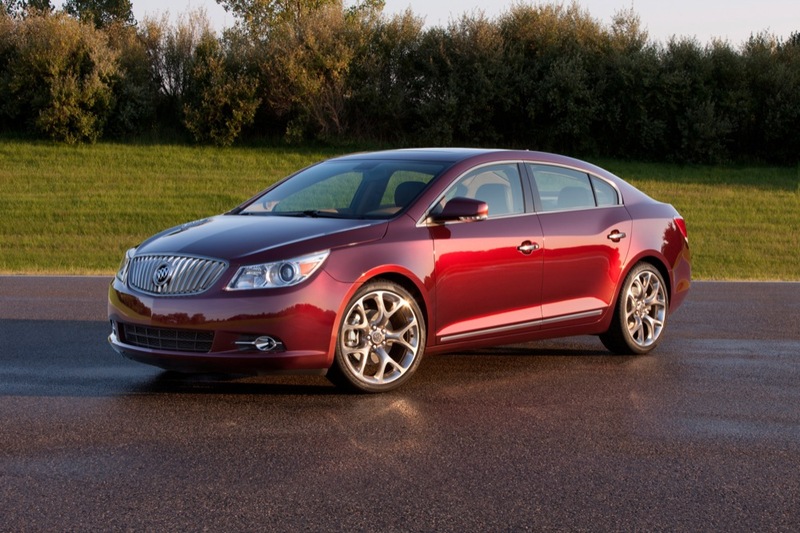 i understand cost cutting but It bothers me they do it on chevys and buicks.